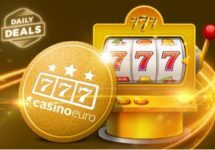 Casino Euro – Wirex 4-Day Tournament! Race to the TOP for extra cash! Play Live Blackjack and Roulette for a share of €3,000 in cash! 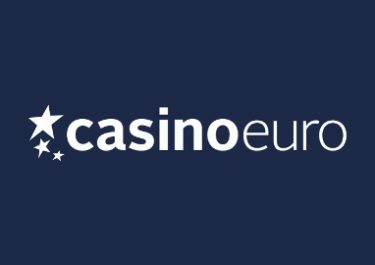 Wirex, the Bitcoin exchange, just got bigger and so are the prizes in this 4-day live games tournament at Casino Euro. 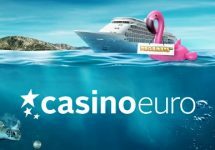 Compete against your fellow players and walk away with a top prize of €1,000 in hard cash. Earn point on selected Live Casino tables and race into the TOP10 by the end of 20th August 2017. Not yet on a mission at Casino Euro? Then sign-up now to claim their 100% Welcome Bonus, up to €150! 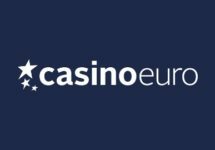 Take part in a proper 4-day wager race at Casino Euro, courtesy of Wirex, the leading Bitcoin exchange. Play on selected Live tables to score points between 17th – 20th August 2017 and place in the TOP10 for a share of the €3,000 prize pool, all in cash. Qualifying tables: Portomaso Lounge Roulette, Real Casino Roulette Portomaso, Lounge Blackjack 1, Lounge Blackjack 2 and Real Casino Roulette. Receiving a blackjack – 200 points. Winning straight-up – 100 points. Getting 21 with 3 cards or more – 50 points. A qualifying game round in roulette for the purposes of this promotion is a round when player’s bets cover less than 70% of the outcomes on the wheel. The TOP10 scoring players will share the cash prize pool. All prizes will be paid into winning accounts in cash by 15:00 CET on Monday, 21st August 2017. Prizes: 1st – €1,000 | 2nd – €700 | 3rd – €500 | 4th – €300 | 5th – €200 | 6th – €100 | 7th to 10th – €50.